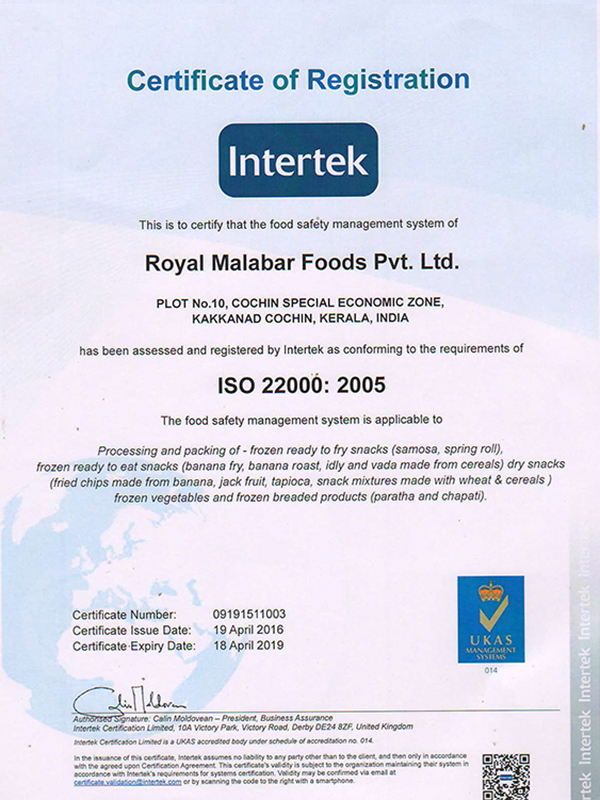 The quality Policy of ROYALMALABAR FOODS PVT LTD is strongly built on its overall quality intentions and directions to process and deliver products which conform both to the national and international regulatory requirements as well as the specifications as agreed to its valued customers. To achieve this policy a quality assurance system based on Hazard Analysis Critical Control Point (HACCP) has been developed, implemented, maintained and updated for which management and staff of the company is totally committed. 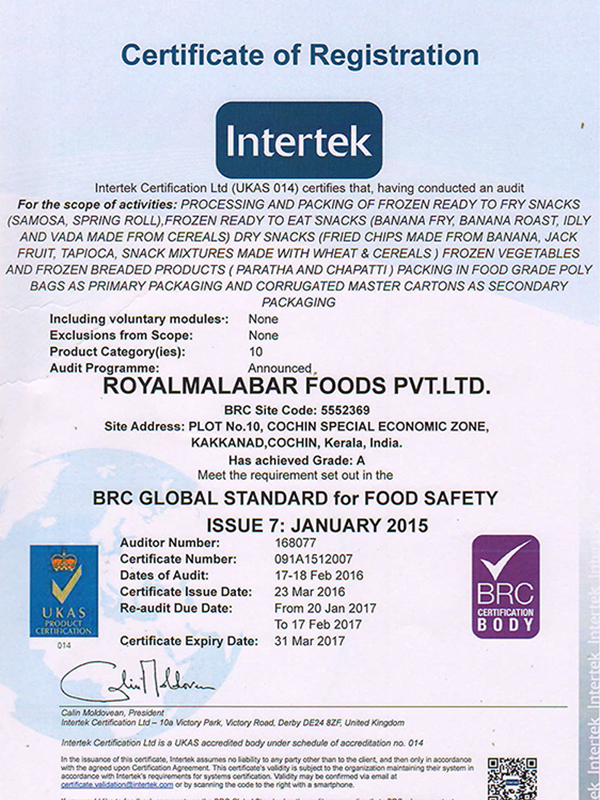 Royalmalabar foods cater to the food needs of the Indian Community in particular, around the world. 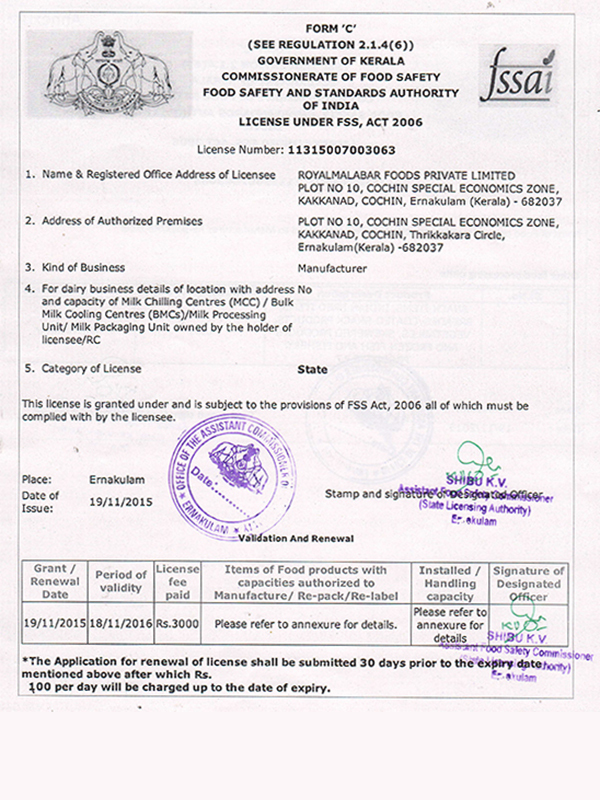 We have a full fledge Food-Processing Factory confirming to the standards stipulated by US FDA,BRC, ISO and HACCP regulations.